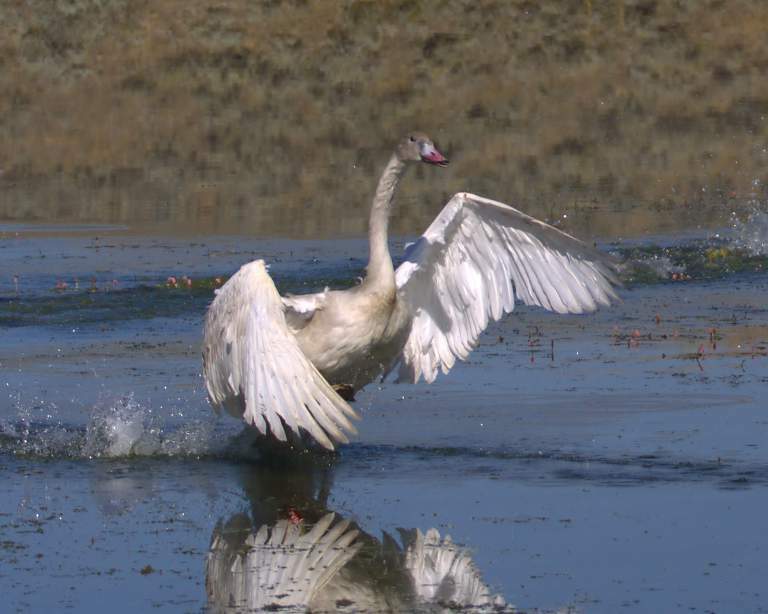 Twenty five years ago, the Blackfoot River valley where we live had all of its native animals which were reported by the Lewis and Clark expedition when they traveled through here in 1806 except for one -- the trumpeter swan. 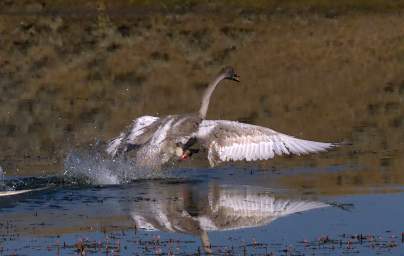 Of animals which are missing or relatively uncommon in other western areas, such as grizzly bears, lynx, wolverine, mountain lions, sandhill cranes and a host of others, we had stable or increasing populations; but no trumpeter swans. The U.S. 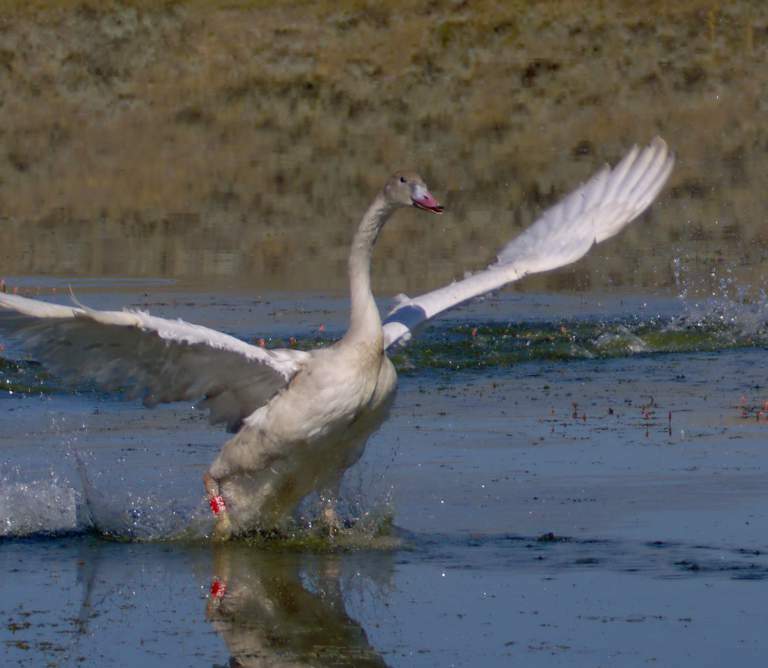 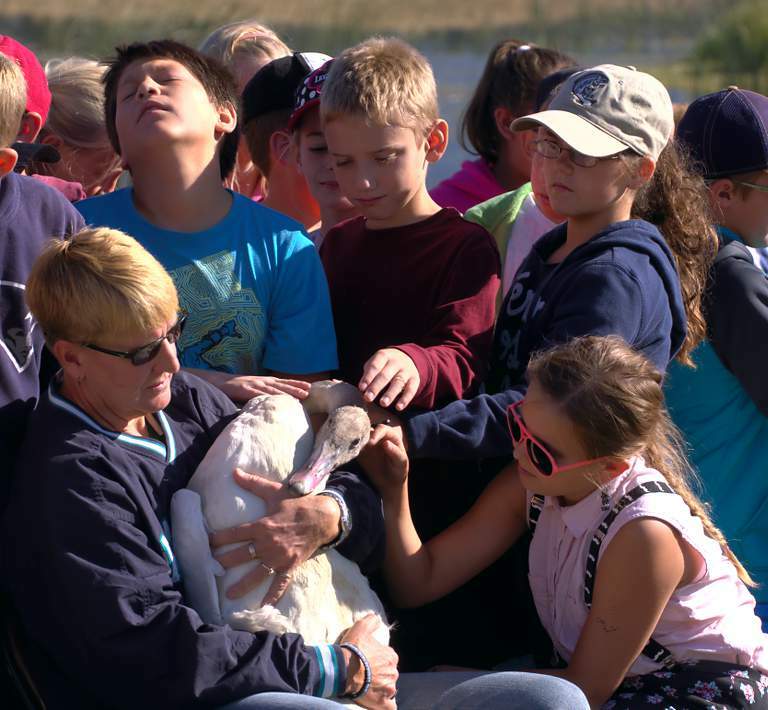 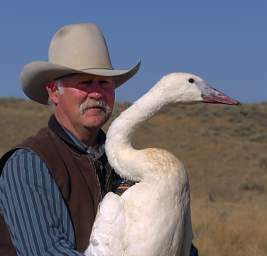 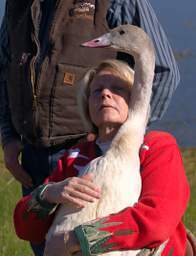 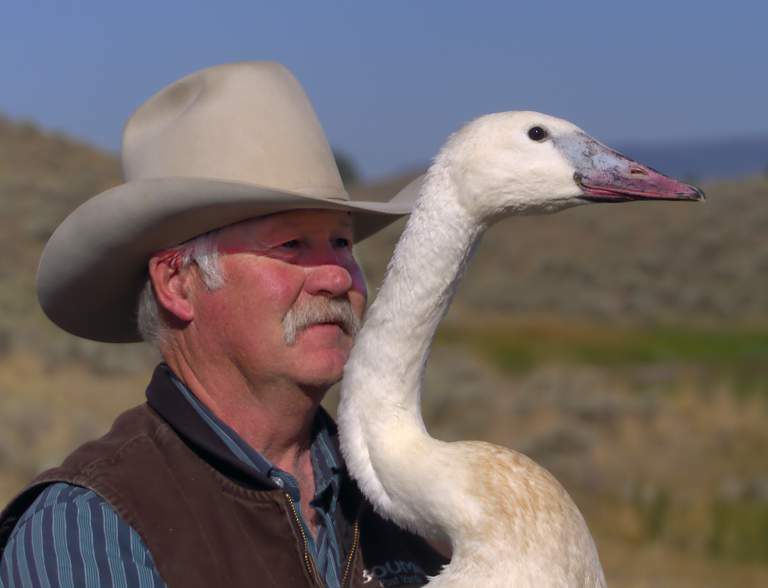 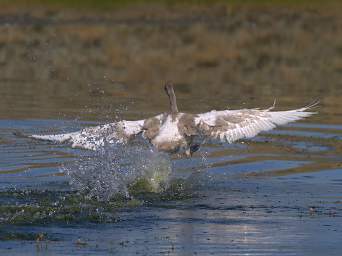 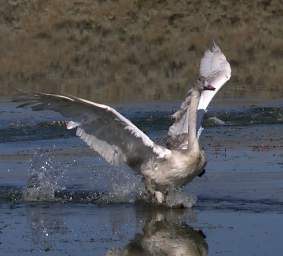 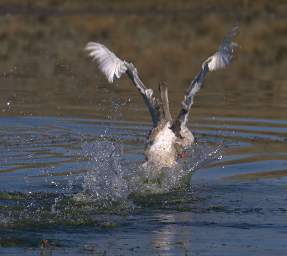 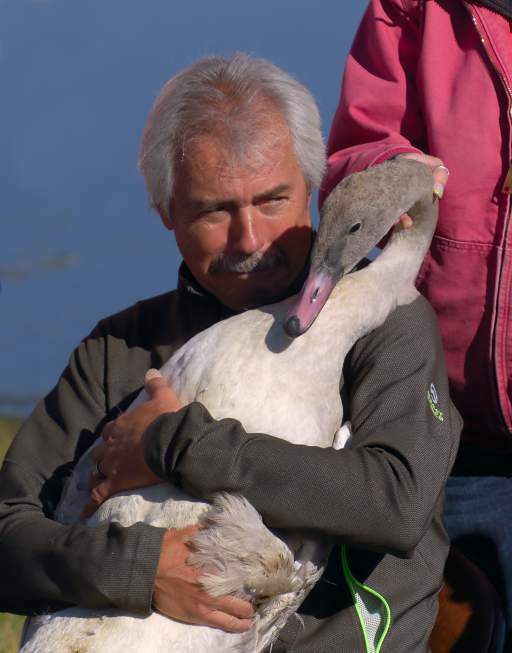 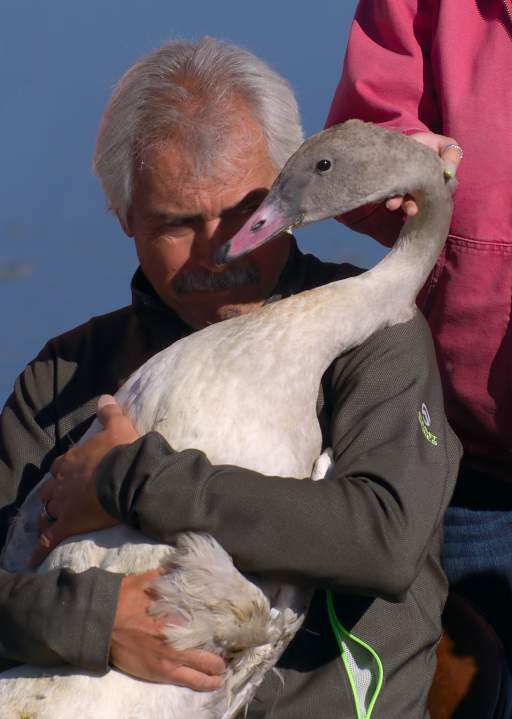 Fish and Wildlife Service (USFWS) has been releasing trumpeter swans in the Blackfoot valley for over a decade now, in an attempt to re-establish a sustainable population. 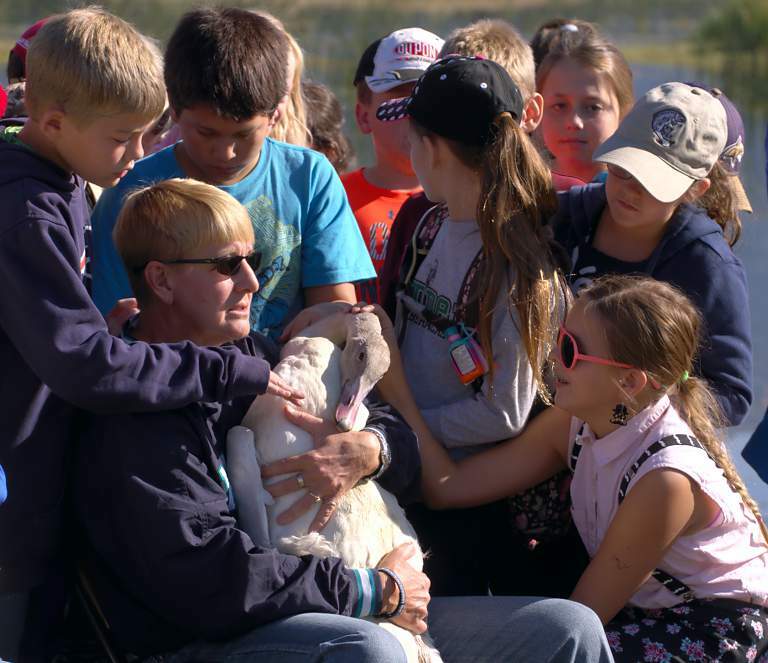 The program is a collaboration between the USFWS and the Blackfoot Challenge, the Wyoming Wetlands Society, the Montana Waterfowl Foundation,, and the Montana Department of Fish, Wildlife and Parks. In the past few years we've had some successful nests, so they're making progress and "getting there." They figure they need seven successful nesting pairs for a sustainable population, so we still have a ways to go. 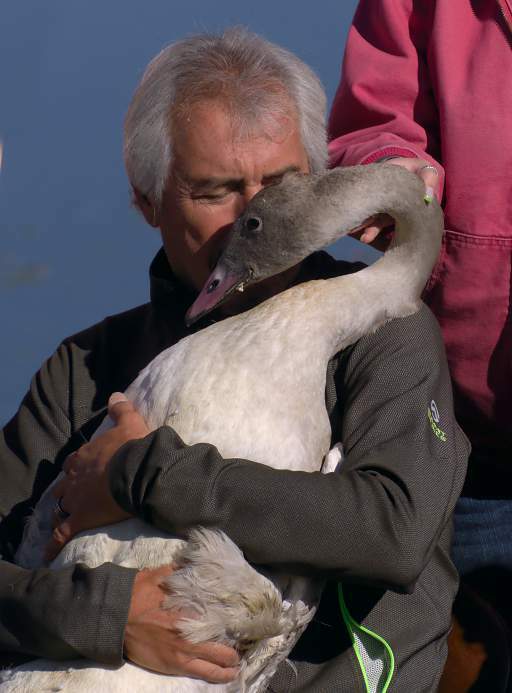 And so this year we had another swan release. 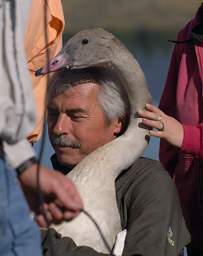 Actually, we had two; this was the second. 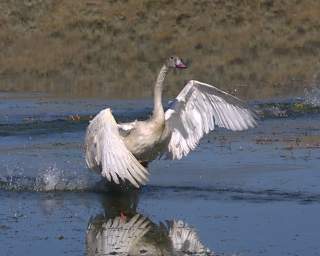 The first happened in the spring somewhat quietly. 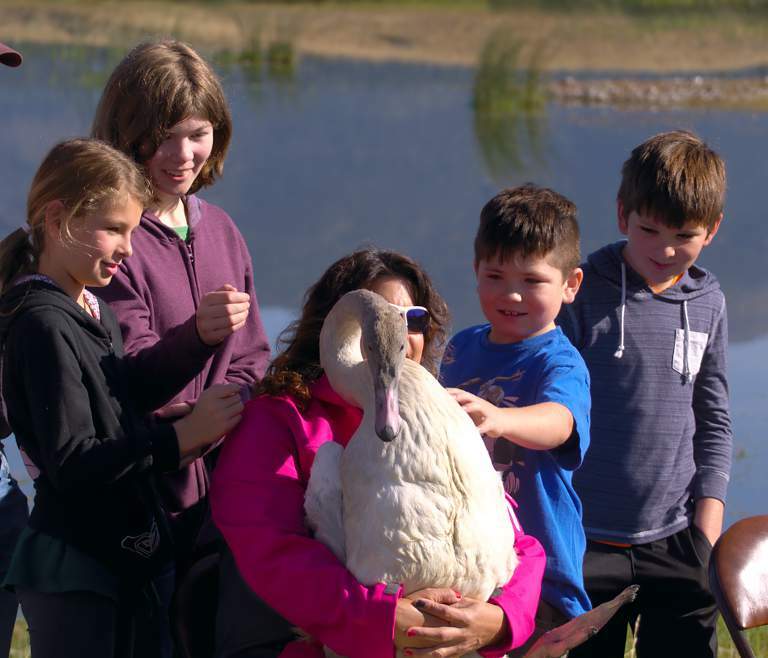 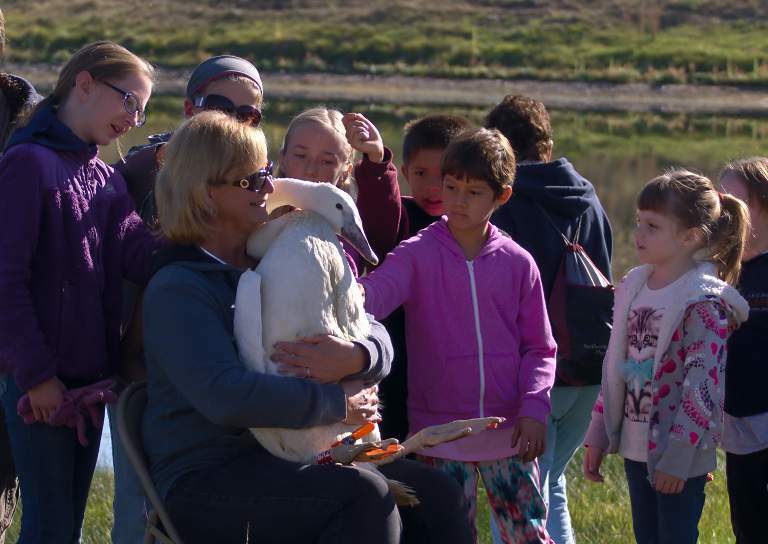 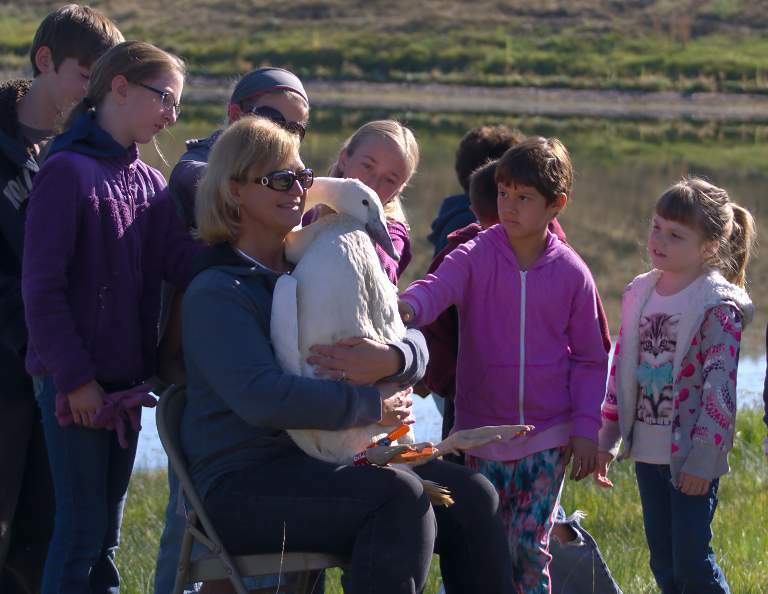 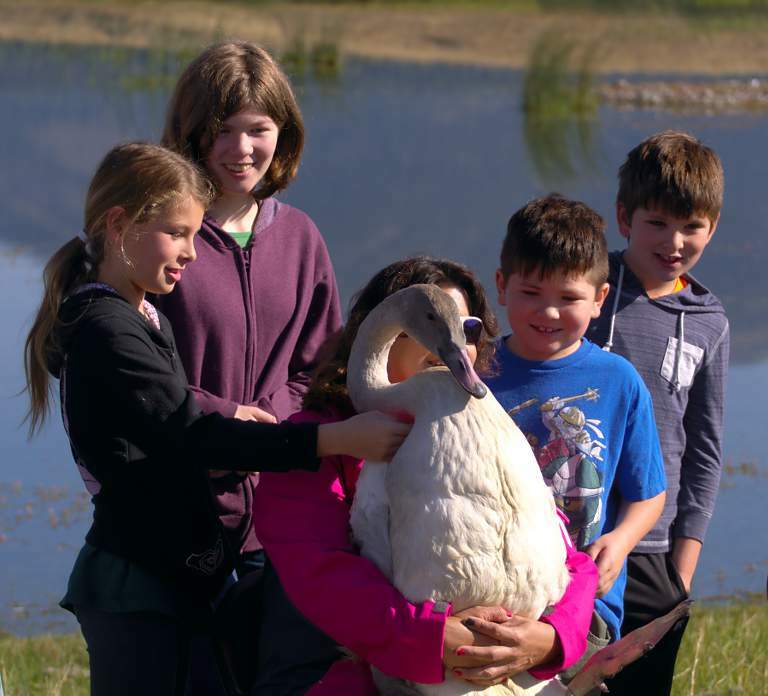 After the swans are released, the kids spend several hours at different educational stations around the site where they learn about nature journaling, birdwatching and how to use binoculars and spotting scopes, noxious weeds, and anything else deemed appropriate we can fit in. 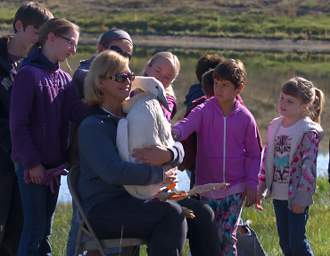 The educational activities are planned by Elaine Caton, a local science education expert. 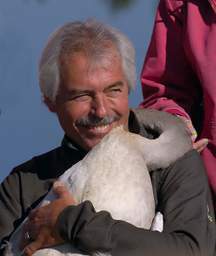 When it came time to release the birds, Louie Bouma of Bouma Post and Pole ferried them from the trailer which transported them to the site over to the person who would be releasing them. 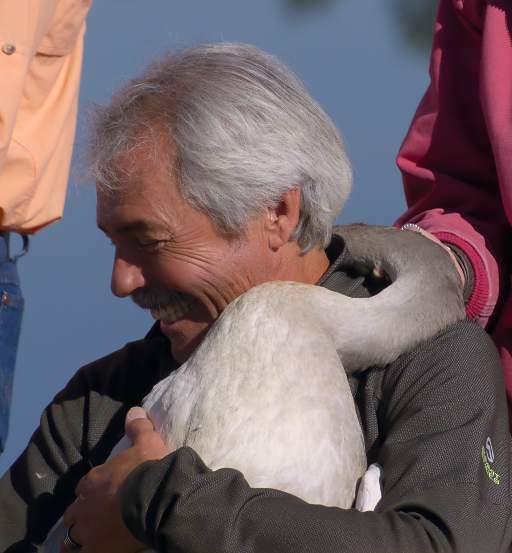 It's a tradition and an honor to have Louie start the birds out on their return to the wild, as it was he who got the whole Blackfoot swan restoration program going. 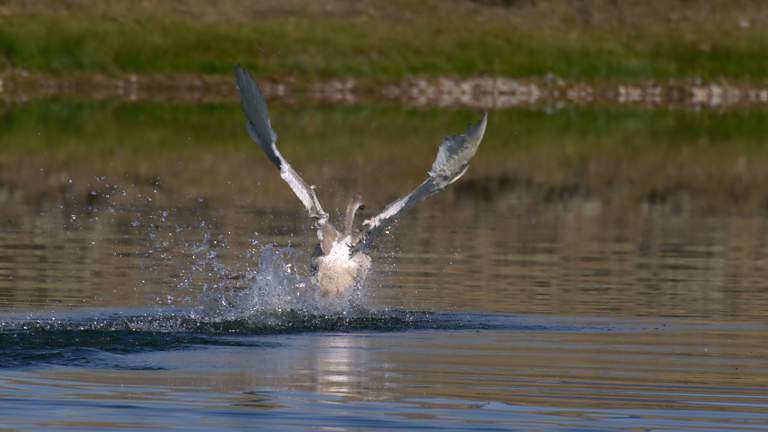 Not on purpose; it was the snowball effect from him just doing the right thing. 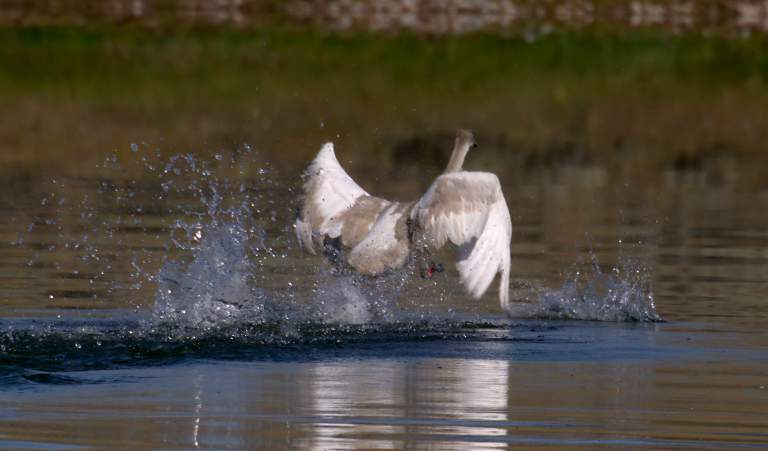 These swans were young signets, and only had leg bands on. 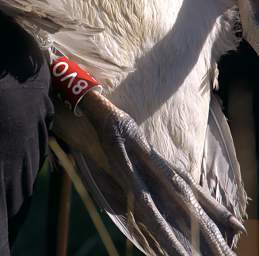 When yearlings are released, they also have neck bands. 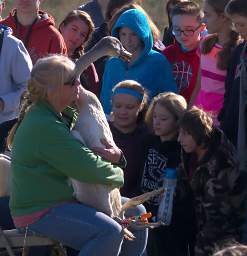 Even so, these youngsters can be pretty intimidating. 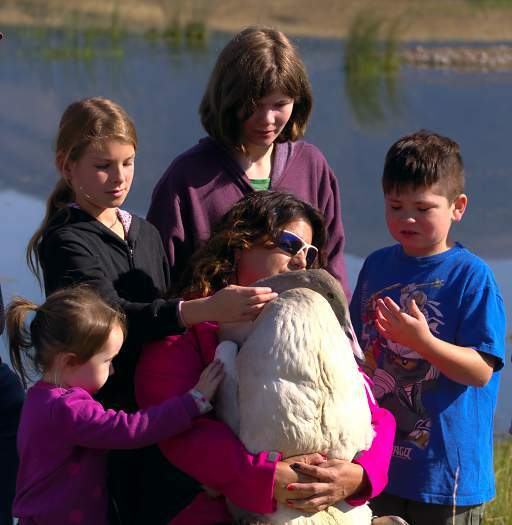 They aren't little Easter chickies. 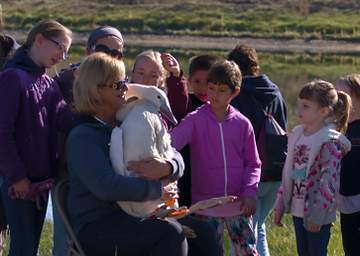 I didn't get pictures of all the school groups; there were lots of people taking photos and I figured they would all have plenty. 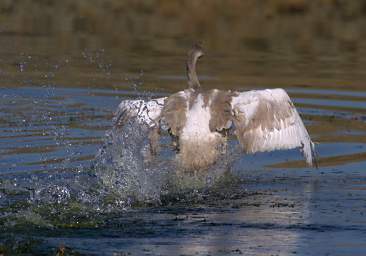 Here are the few I did get. 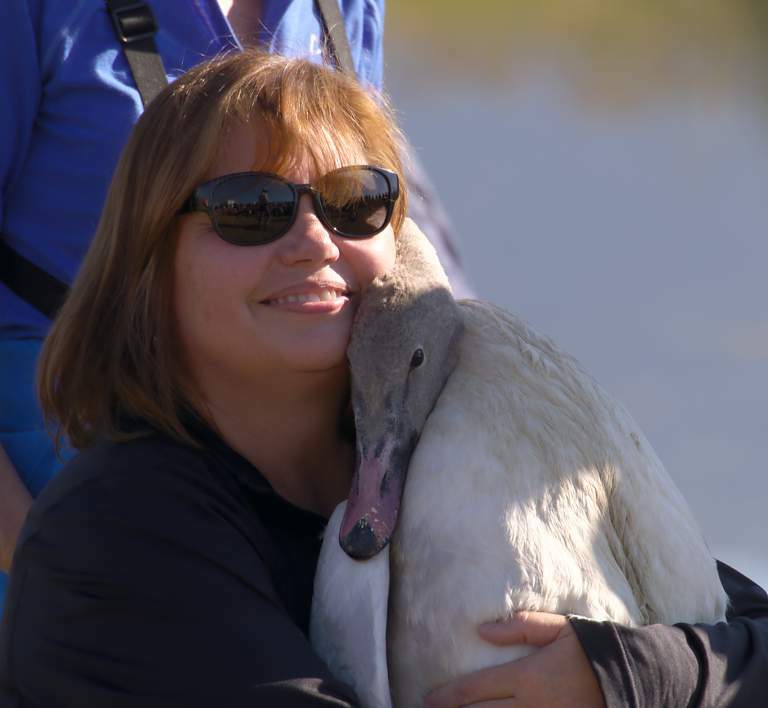 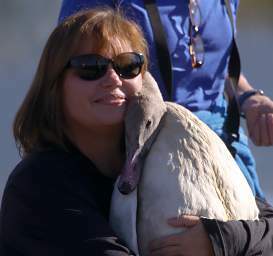 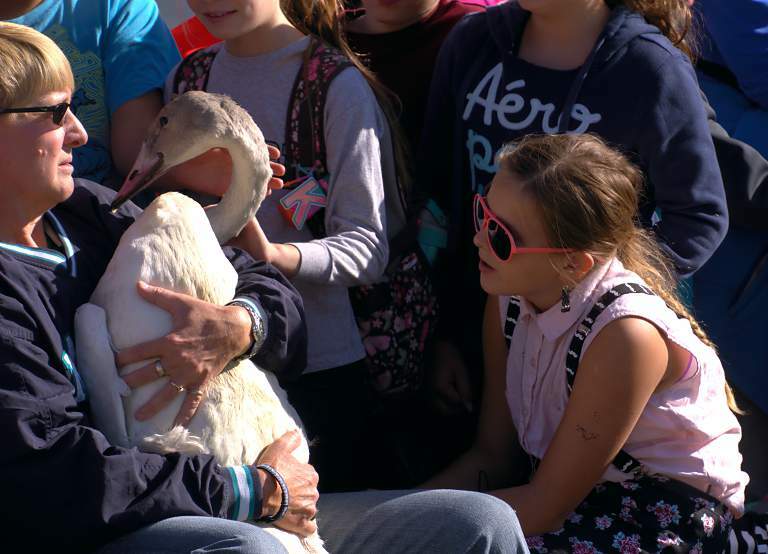 As well as teachers from the different participating schools, two supporters of the swan project, Gary Kachadurian and Linda Ender, got to release a swan. 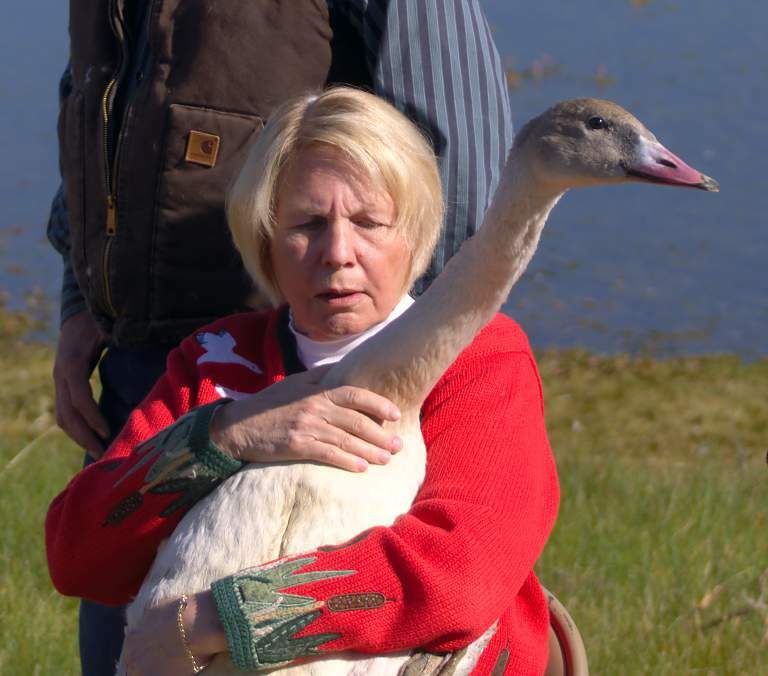 And then the people holding the swans got up from their chairs, turned to face the lake, opened their arms wide, and let the swans free. They were anxious and delighted to be off, and wasted no time! 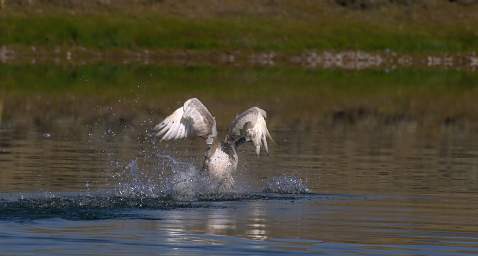 This page last updated on 2015-09-11.